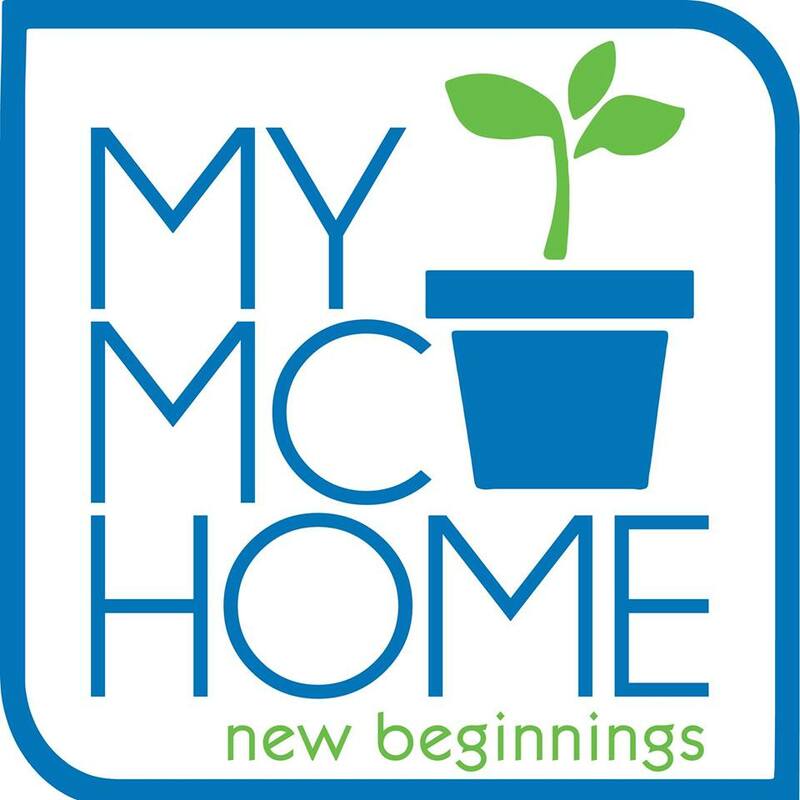 Hi, mamas! 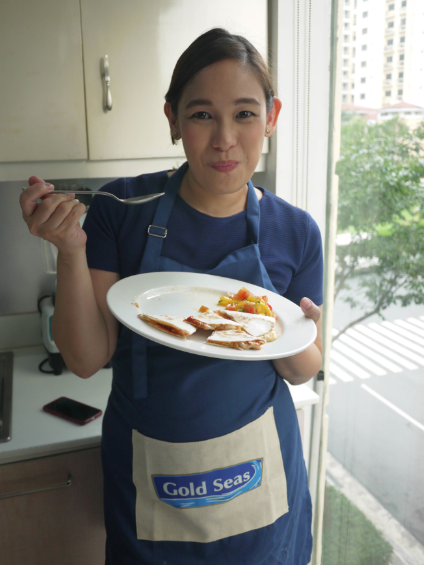 Today I'll share with you another recipe Chef Rosebud Benitez taught us mommy bloggers last week. 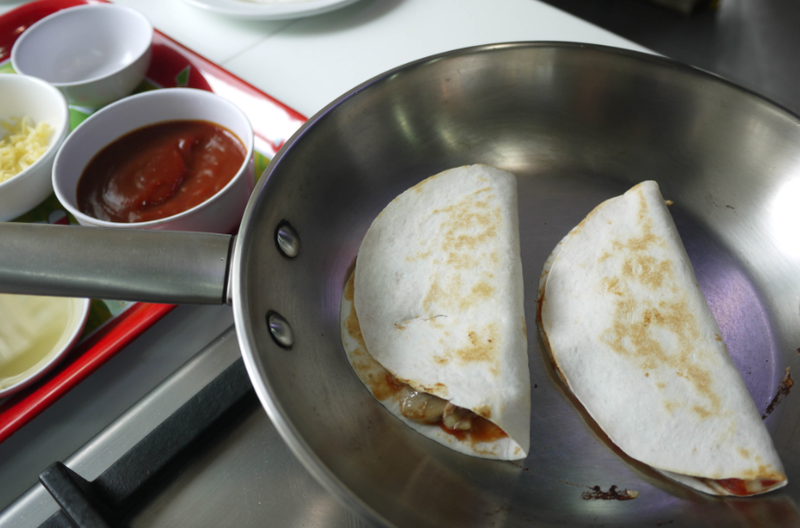 These cheesy quesadillas are so delicious and so easy to make—definitely a snack (or even a lunch) you and your kids will love. All the ingredients are easy to find at your favorite supermarkets, too. And it's quick to make! Working mama me was delightfully surprised! And instead of ground beef, Chef Rosebud used Gold Seas Tuna chunks, which are lighter on the tummy and much healthier, too. Happy cooking! 1. Spread some spaghetti sauce on a tortilla. Don't put too much since this will make your tortilla soggy. 3. Fold in half and toast in a frying pan until golden. 4. 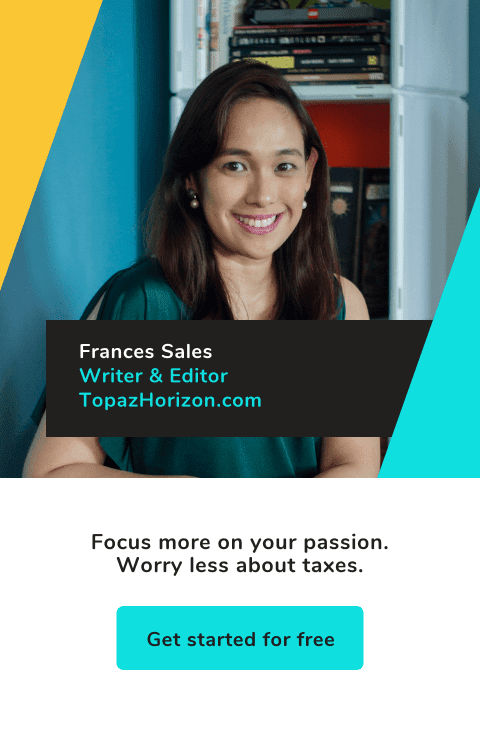 If you used a non-stick pan, no need for oil. If you had to use cooking oil and fried your quesadilla, rest your quesadillas first on tissue paper to remove excess oil. 5. Serve with lots of tomato salsa on the side. This was really so good! As in, super tasty, malinamnam, and also easy and quick to eat. That last part can be a problem because I ate so much! I just happily pushed the cheesy tuna quesadillas in my mouth one after the other—chomp, chomp, chomp! 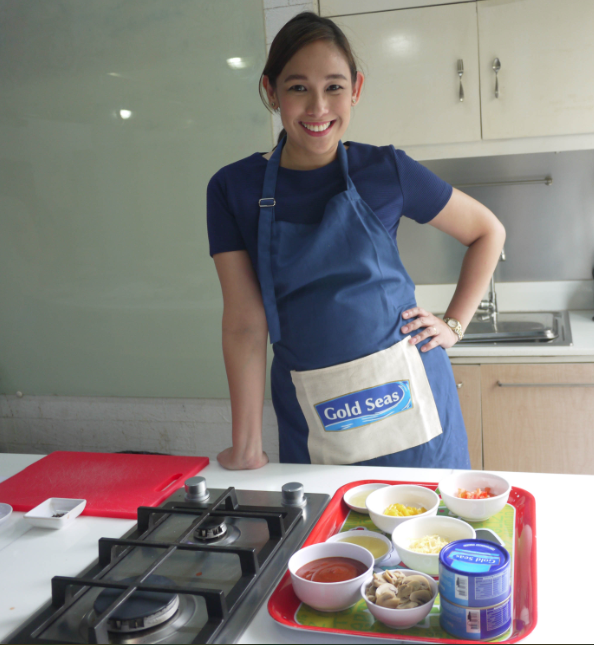 Thanks so much, Gold Seas Tuna Chunks, for inviting me to join Chef Rosebud and the mommy bloggers to this fun cooking class. I really enjoyed myself! Gold Seas Tuna Chunks is now going to be a regular ingredient in my cooking! 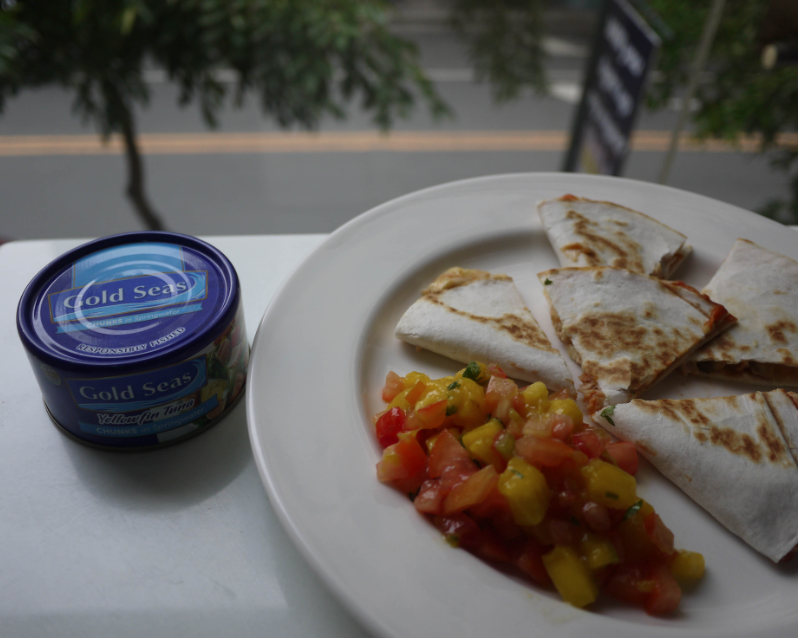 Gold Seas Tuna Chunks is the pure, healthy, and chunky tuna choice for you and your family. With only premium tuna caught through sustainable fishing practices, every can of Gold Seas Tuna Chunks is filled with wholesome tuna goodness you will enjoy to the last bite. Gold Seas Tuna Chunks is available at all leading supermarkets, groceries and convenience stores and are offered in 90g (solo) and 185g (sharing) variants. To get the latest news and updates, like them on Facebook and follow them on Instagram @goldseastunachunks. This post is brought to you by Gold Seas Tuna Chunks.